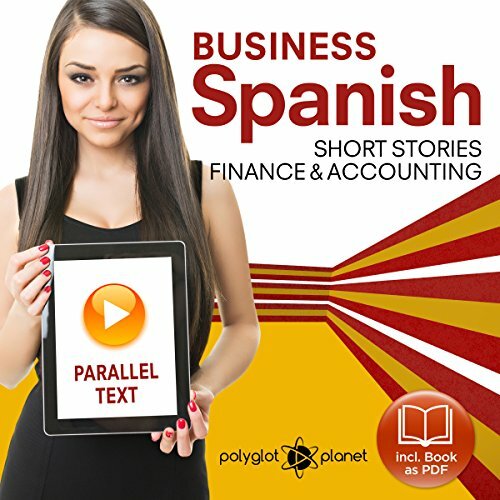 Showing results by narrator "Polyglot Planet"
Learning business Spanish with parallel text is the most rewarding and effective method to learn a language. Existing vocabulary is refreshed, while new vocabulary is instantly put into practice. Our stories evolve around business with a focus on finance and accounting. Recommended for beginners with a good basis of Spanish, intermediate-level learners, and as a refresher course. Learning business Spanish with parallel text is the most rewarding and effective method to learn a language. Existing vocabulary is refreshed, while new vocabulary is instantly put into practice. Our stories evolve around business - making the terms and phrases easier to remember in the learning process. Learning business Spanish with parallel text is recommended for beginners with a good basis of Spanish, and intermediate level learners. Business Spanish 3: Parallel Text: Management: Short Stories is the most rewarding and effective method to learn a language. Existing vocabulary is refreshed, while new vocabulary is instantly put into practice. Our stories evolve around business with a focus on management. Recommended for beginners with a good basis of Spanish, intermediate-level learners, and as a refresher course. The stories have been written to keep the listener's attention and are fun for you to learn. 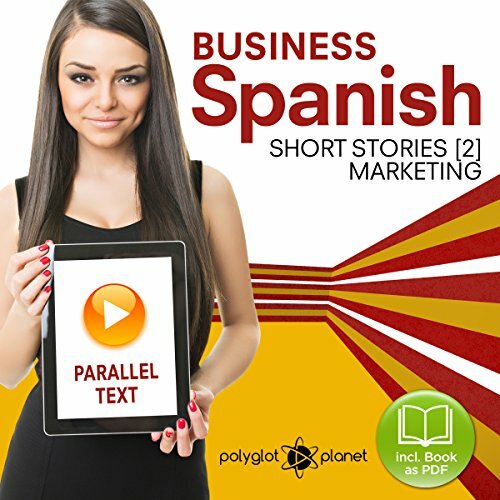 Business Spanish 2: Parallel Text is the most rewarding and effective method to learn a language. Existing vocabulary is refreshed, while new vocabulary is instantly put into practice. Our stories evolve around business with a focus on marketing. Learning business Spanish with parallel text is recommended for beginners with a good basis of Spanish, intermediate level learners and as a refreshers course. Business Japanese  with parallel text is the most rewarding and effective method to learn a language. Existing vocabulary is refreshed, while new vocabulary is instantly put into practice. Our stories evolve around business, making the terms and phrases easier to remember in the learning process. 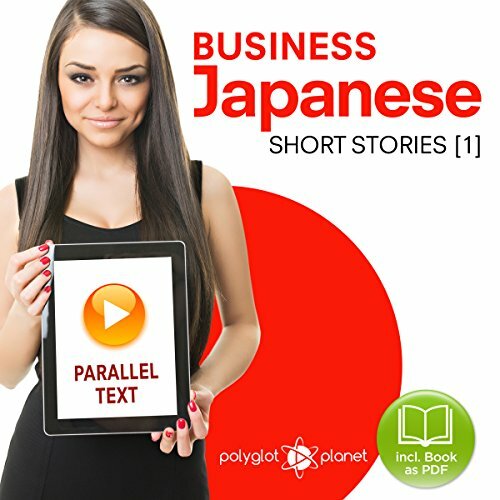 Recommended for beginners with a good basis of Japanese, intermediate-level learners, and as a refresher course, these stories keep the listeners' attention and are fun to listen to and learn through motivation. Learning German with parallel text is the most rewarding and effective method to learn a language. Existing vocabulary is refreshed, while new vocabulary is instantly put into practice. The German grammar easily sinks in through our cleverly written and well formatted stories. Learn business German with parallel text is recommended for beginners with a good basis of German, intermediate level learners and as a refreshers course. Learning business Italian with parallel text is the most rewarding and effective method to learn a language. Existing vocabulary is refreshed, while new vocabulary is instantly put into practice. Our stories are built around business, making the terms and phrases easier to remember in the learning process. 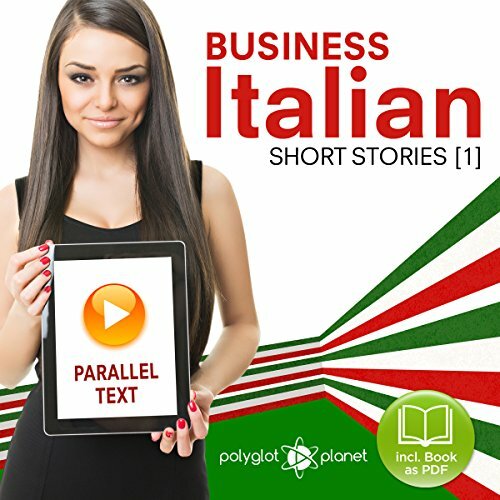 Learning business Italian with parallel text is recommended for beginners with a good basis of Italian, intermediate level learners, and as a refresher course. The stories have been written to keep the listener's attention and are fun for you to learn through your motivation. Are you relatively new to learning Japanese or need to brush-up on your language skills? You wish to not only talk like a native, but also understand them clearly? Welcome to Polyglot Planet. We provide you with the right tools, energy and motivation for you to understand and speak Japanese confidently. 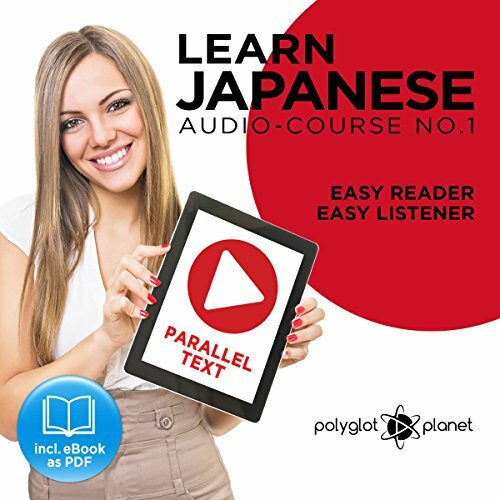 Learn to speak Japanese almost instantly with our “Easy Reader” texts and Easy Audio recordings. This Japanese edition has been created on request of our customers. The audio or ebook is not for beginners of Japanese and can only really be used for those with a good command of Japanese. Learning Business German (4) is the most rewarding and effective method for learning a language. With a focus on management, existing vocabulary is refreshed, while new vocabulary is instantly put into practice. Our short stories revolve around accounting and finance, making the terms and phrases easier to remember during the learning process. The stories have been written to keep listeners' attention; they are fun to listen to, which motivates you to learn. 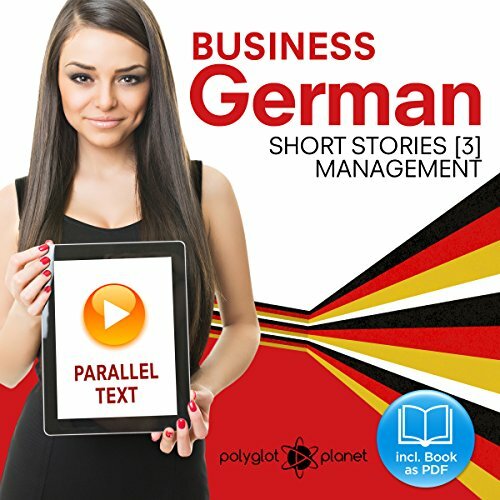 Learning Business German 3 with parallel text is the most rewarding and effective method to learn a language. Existing vocabulary is refreshed, while new vocabulary is instantly put into practice with a focus on management. Our management short stories evolve around business, making the terms and phrases easier to remember in the learning process. A fantastic, recommended way to learn German or business German! Learning Business German 2 with parallel text is the most rewarding and effective method to learn a language. Existing vocabulary is refreshed, while new vocabulary is instantly put into practice with a focus on management. Our marketing short stories evolve around business marketing, making the terms and phrases easier to remember in the learning process.